I may have moved from Milan, but that doesn't mean it's not always in my heart. 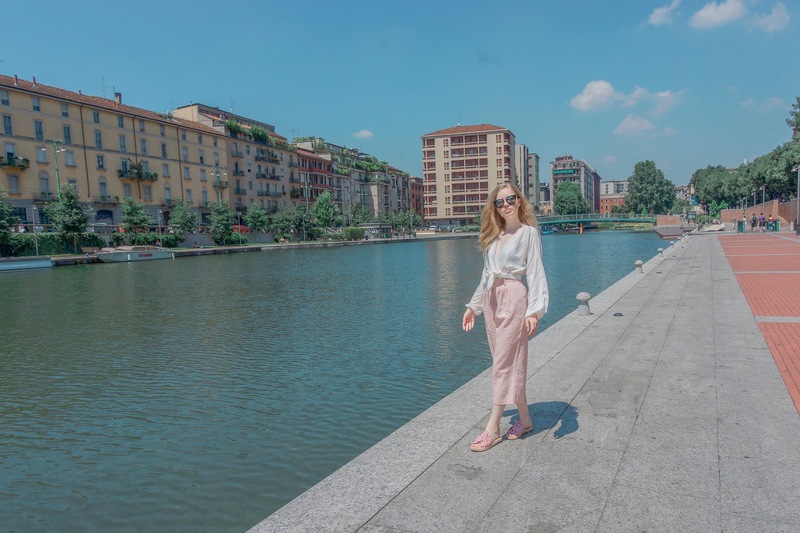 Milan is a wonderful city full of vibrancy, beauty and fashion - it's always a pleasure to come back, not to mention I have some of my best friends there who I'm always over the moon happy to see. However if there's something I always regret when moving to a new city is that I didn't get to explore the one I was living in even more. Does anyone else feel that way or is it just me? I'm really trying not to make that mistake with London and attempting to explore it a bit more with every chance I get. Back to Milan now, one of the less known places you can visit, that is truly stunning to see, is the San Lorenzo Basilica. The Basilica is one of the oldest churches in Milan, but even more spectacular are the Colonne di San Lorenzo in front. These are a group of ancient Rome ruins that had been moved to Milan. They are a group of 16 Corinthian columns which allegedly have been removed from either a 2nd century temple or a public bath house. 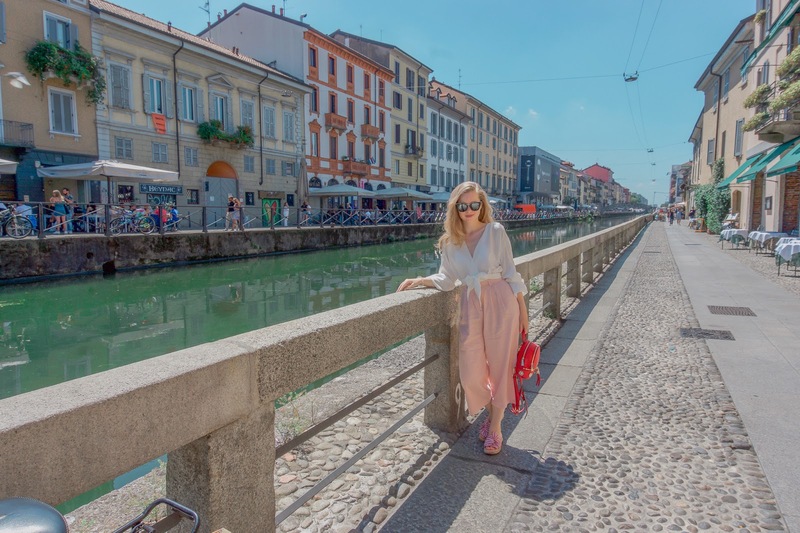 The Colonne di San Lorenzo are remarkable no matter what structure they came from and if you're curious to visit them, the ruins are located close to Navigli - a set of interconnected canals that are surrounded by cute local restaurants, gelateria and shops. That whole area has a relaxed and friendly atmosphere I really love. It's the perfect place to go have an aperitivo and enjoy the Milanese evenings. 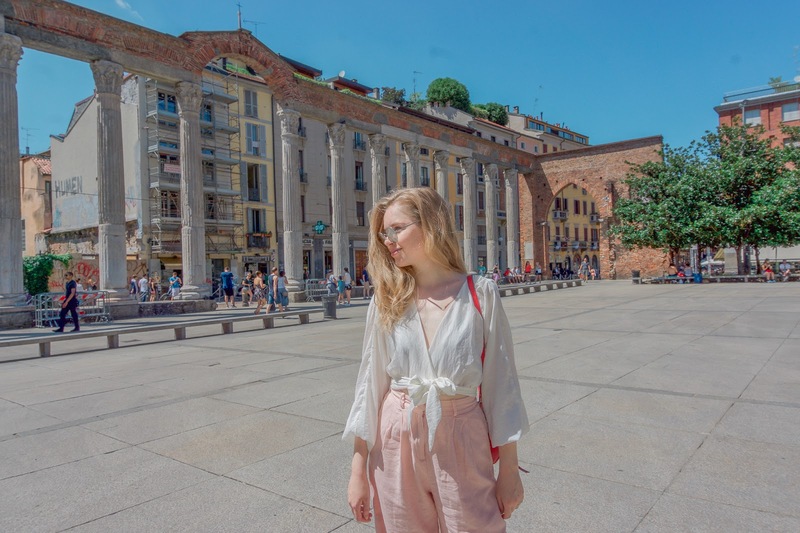 Have you visited Milan? Which less known places do you adore? They say Milan is a romantic place. Great photos!